Nino Schurter of Scott-Odlo MTB Racing has extended his contract ahead of schedule for another four years until 2020. The 29 year old MTB Cross-Country World Champion, together with Team Manager Thomas Frischknecht, have committed to racing under the Scott umbrella and to leading a strong team of young riders to the top. With this long-term commitment, Nino removes any doubt about racing on the road after Rio 2016. "For the past 14 years I have been riding Scott. I'm very happy and proud to announce that I'll be riding for the next 5 years for the Scott family once more and will focus entirely on XC until the Olympic Games in Tokyo in 2020." The World Champion will ride in the UCI Rainbow Jersey in 2016 once again - his fourth season as an Elite XC World Champion. In addition to that, Nino Schurter owns 17 World Cup wins, 4 World Cup Champion and 4 Swiss National titles to date. Nino won the Bronze medal in Beijing in 2008 and the Silver medal in London in 2012. After his most successful season ever, he aims for Gold in Rio de Janeiro in 2016. With regards to his commitment and future plans, Nino Schurter says, "For the past 14 years I have been riding Scott. I've had amazing success over this time and can't imagine a better partner or team to keep reaching my goals in the years to come. After my short stint on the road in 2014, I realized that the MTB discipline is where I truly belong. I'm very happy and proud to announce that I'll be riding for the next 5 years for the Scott family once more and will focus entirely on XC until the Olympic Games in Tokyo in 2020. For now, all of my energy is going towards the upcoming Olympic year." 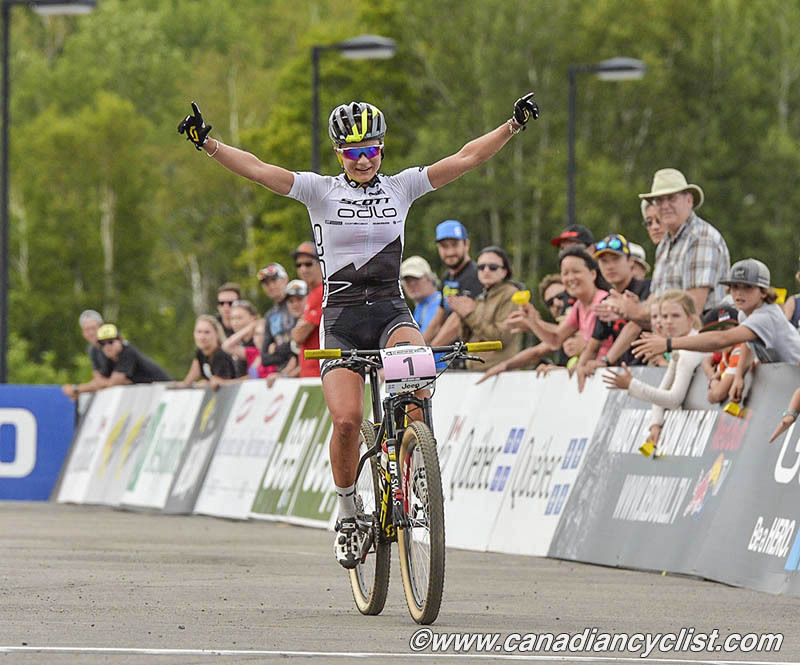 It's was a record season for Scott-Odlo MTB-Racing. Jenny Rissveds delivered a never seen record winning 6 out of 6 races in the Women's U23 World Cup. Nino Schurter on the other side started the World Cup with 3 second places and finished with 3 wins plus the World Champion title - together with his Swiss National title his best ever season. "This past season was my most successful yet and really helped me elevate my game," commented Jenny Rissveds. "Next season I'll be switching to the elite category in the World Cup - and I'll battle against the best women in the world. This will be a great challenge. An even greater challenge will be to fulfill my dream of taking part in the Olympic Games in Rio. It is not yet sure that Sweden will have a spot in Rio. I'll do everything possible to get us a spot but I have to rely on others as well. Let's cross our fingers!"